Rich, coconut-scented bronzer and brush set for a luxurious, lust-worthy glow. 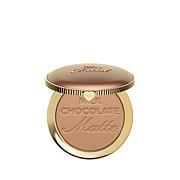 With my fair skintone bronzers often look too dark and muddy on me. 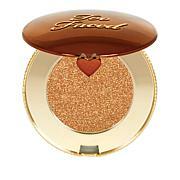 The Natural Lust Bronzer is just right--not too dark but pigmented enough to give my face a pretty glow. The Teddy Bear Mr. Right brush in the set is really nice, soft and fluffy. 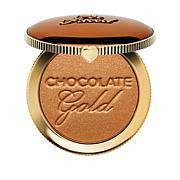 I mix the bronzer and highlighter together and apply for a perfect sun-kissed look to brighten my face. The compact is metal not cardboard, large and so gorgeous! Don't know if it would work on medium-dark skintones but works great for fair skintones. By far the best bronzer I have ever used, smells great, and even adds a slight shimmer to your day (From the peacock) and the brush is AMAZING. Can't wait to receive the eye set to go with it! The packaging is very pretty, but it doesnt show up on my pale skin . It also smells nice . Just couldnt keep it if Id barley use it , so it went back .